The arena I work out of, the Brick Breeden Field House, has a fairly sizeable Bose (yes, I know) sound system. I’m not going to get into specifics of the install, because it’s really nothing special. 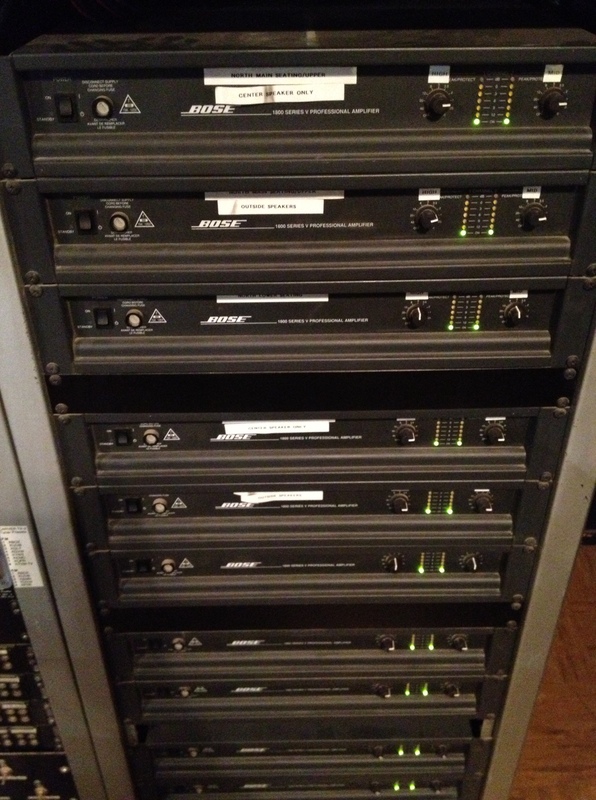 However, one aspect that did impress me was the amp rack–a stack of ten Bose 1800s. From what I can tell, this amp rack has rarely been powered down since installation. These babies have been running for a solid 15 years and still function as designed. Mentioned in previous posts, I’ve been cleaning out our tech storage areas and continue to find all sorts of goodies from previous installs. In my findings have been several Carver professional amplifiers, including a pair of Carver pm1400s. Now look at the above pictures and tell me the Bose 1800 and Carver pm1400 aren’t the same amp with different branding. 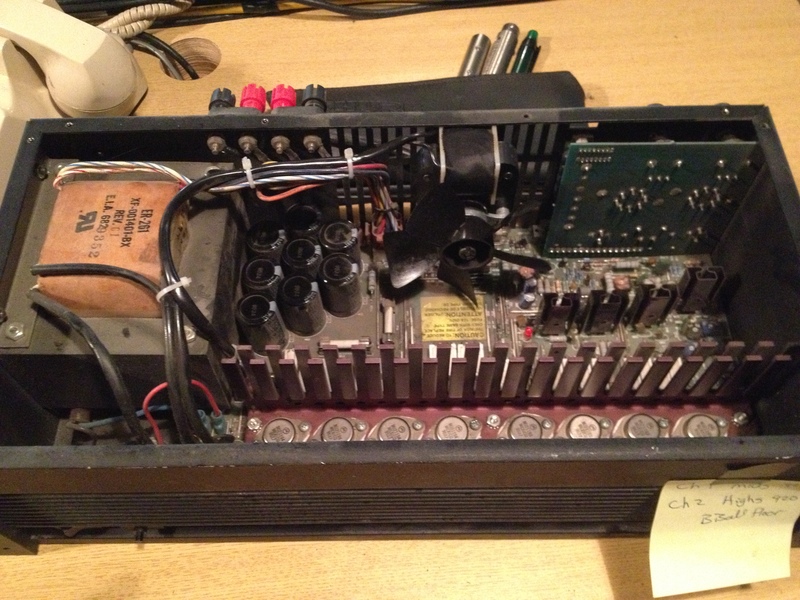 Turns out Bose subcontracted their amplifier production out to Carver for their professional systems at the time. It seems the only real difference is the Bose version has an EQ module installed for use with their Panaray speaker systems, which can allegedly be bypassed for use with other systems. At 450 watts per channel into 8 ohms, these are not wimpy units, and workhorses to boot. For this post, I suppose the moral of the story is don’t judge a book by its cover, or in this case hold a prejudice against gear just because of a brand stigma. Side note: such a prejudice getting lifted can be seen in the case of the Behrigner X32, with so many former haters now finding themselves behind one. That’s all for now. Maybe I should go clean the fans in those amps.